Have a large group that wishes to take a tour of New York wine country? Let Colonial Transportation handle all your wine tour transportation needs. Colonial offers luxurious and comfortable shuttles, buses, limousines, and more for touring some of the most popular and beautiful wine country in the state. Take a look below at some of the packages we offer, and when your ready, give us a call! I booked a wine tour for my sister's bachelorette with Colonial and it was even better than I hoped it would be! We went for a more sophisticated party, and it was perfect. Before I even talk about the tour, Rose, who I reserved with, was very responsive and accommodating when someone had to drop out a week in advance. Patrick was our driver and he was so friendly and courteous. He arrived 15 minutes early and got us home on time, so we had time to change before going out in the evening. We went to 3 wineries with tastings reserved. Patrick just went in ahead and checked us in at each place. The wines were great and so were the wineries. He even took us to a nearby beach when we had time between wineries! The 2nd winery had sheep outside, and we had our boxed lunch on the deck. There was plenty of food for us, and the place was even selling delicious brownies and cheesecakes which we bought for dessert with our fruit which was included. The last winery was much more crowded, but had a good band and it was also a horse sanctuary so we got to pet some beautiful horses! It was really a perfect day, seamlessly organized by Colonial Transportation. I've been on a previous bus tour of the Long Island wineries and having a private van just for us, picking us up and dropping us off in the city at my sister's apartment was well worth it for not too much more. I've also been on wine tours in Argentina and this tour compared just as well for the level of service. I highly recommend them. 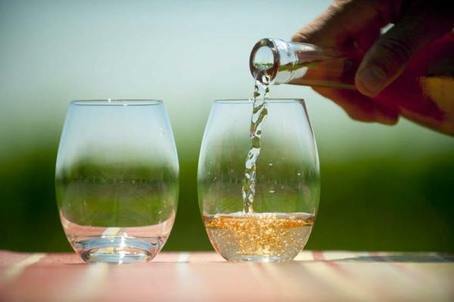 Enjoy the North Fork Wine country & a special stop at Long Island's famous Briermere Farms.